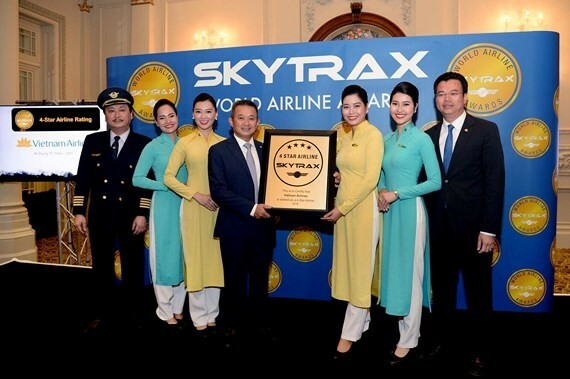 The national flag carrier Vietnam Airlines has been certified as a 4-Star Airline by the international air transport rating organization SKYTRAX for three consecutive years. The prestigious 4-Star Airline certification is an acknowledge for Vietnam Airlines’ major recent improvements in quality of its product and service standards. Vietnam Airlines has always endeavored to fulfill the commitment that all of its services are ranked 4-star. 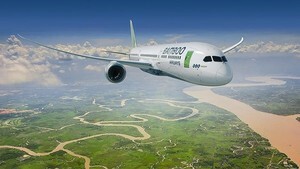 The recognition has added Vietnamese airline into the list of the world’s most reputable airlines, including Air France, British Airways, Emirates, Japan Airlines, Korean Air and Lufthansa.. The carrier underwent a dramatic transformation with 4-star service upgrade including check-in counter for business class, special class and economy class in flights to Japan, Australia and Western European countries. Alongside with this, tax-free Lotus shop in Vietnam Airline planes is a new convenience for passengers. The 2018 certification of Skytrax will be impetus for the carrier to strive for five-star recognition in the future.